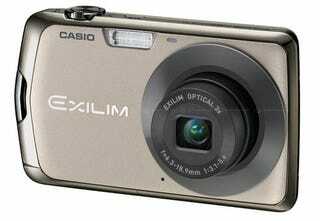 Meet the Casio Exilim EX-S7 and EX-Z35, a pair of low-price point-and-shoots debuting at PMA 2010 this weekend. They aren't going to blow the doors off anything, but that's the point. These are entry-level shooters with a pleasantly entry-level price. The pair feature 12.1MP sensors, coupled with some web uploading software and a 3x zoom. The EX-S7 features 720p video recording and a larger 2.7-inch LCD.